Welcoming a New Member to Our Family. In August, we decided to adopt an older brother for our little Lincoln. 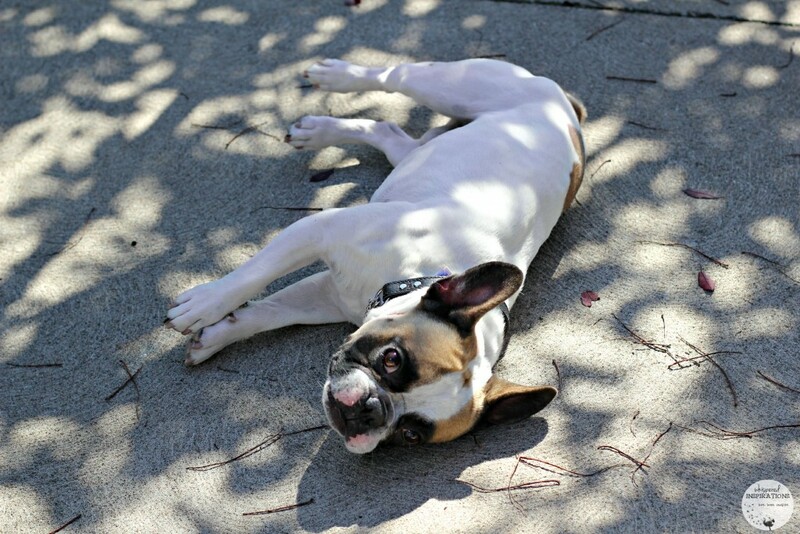 We are huge fans of French Bulldogs and when we saw Maverick, we fell in love. 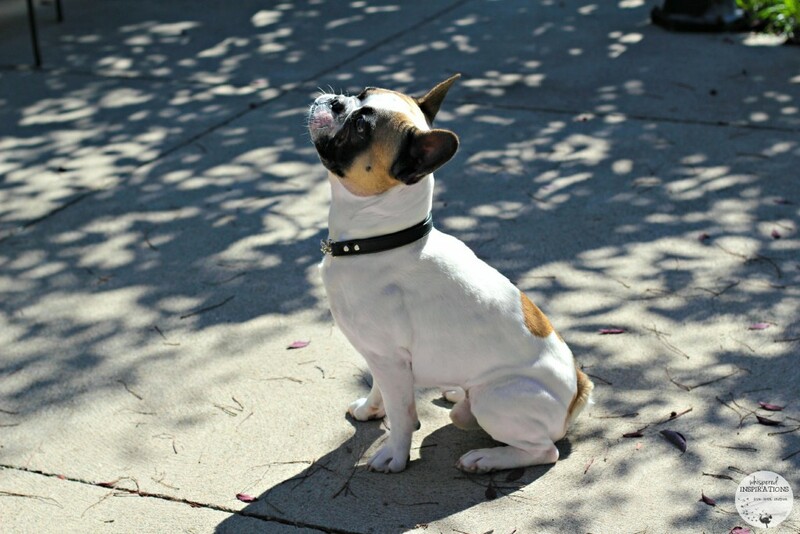 He’s a 5 year-old pure-bred French Bulldog stud and he actually has a litter on the way. Our family has grown by one and I am the proud Mom to two girls and now, two boys! I´m going to have to train a lot of babies now, but thankfully There are many tools which can help with crate training a puppy. Maverick needed a home where he would get the attention he deserves. A forever home that we were more than happy to provide to him and all the hugs that he can handle! Giving You the Puppy Eyes. 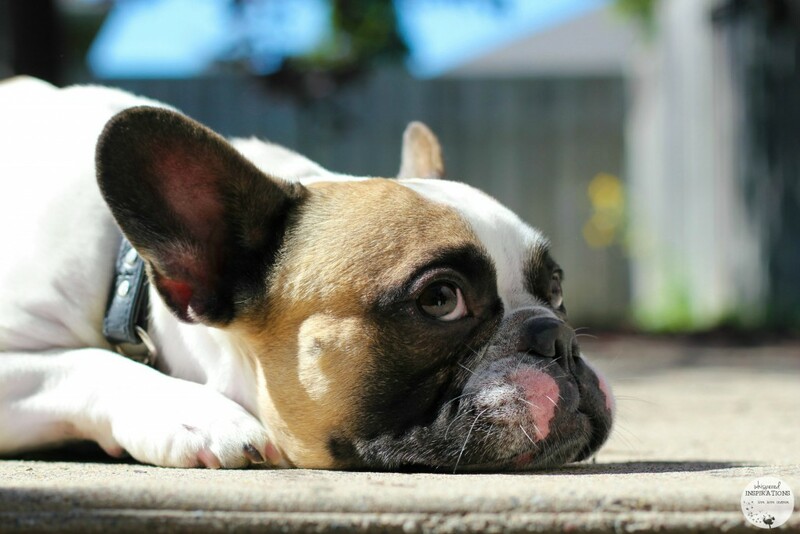 Mavi is one of the cutest pied Frenchies that I’ve ever seen but, I’m biased. He is perpetually melancholy and I love it. One of the things that I can say about him is that he is the perfect dog. I know, I know… But, he is the dog that I have always dreamed of. Don’t get me wrong, Lincoln is the best but, since Mavi is older he is so chill. He’s sweet, affectionate and willing to cuddle with you at the drop of a hat. I can even handle the snoring and the typical Frenchie gas! He is quite the little model and does a lot of tricks. On a perfect summer day, I took him out to our back yard and took his picture. He was an interesting subject and I took a lot of shots. I knew that I wanted to add him to the wall in my office, right next to Lincoln. I just had to get the perfect shot! I snapped the perfect shot when Mavi laid down and put his down and looked up. It’s one of his regular poses and whenever I think of him, this is what I think of. As you can see, he’s doing it in the picture above. He’s an angel and whenever I go to work in my office, I tell him “Let’s go to work,” and he follows me and makes his way to the couch in the office. Every once in a while he emerges for a scratch under his chin and to supervise me. We placed Mavi right next to Linc and now I have his cute little face up there. While he is my work partner, I’m glad that I will always have him there with me. I know that fur babies are much different from kids but, they are truly special companions that enrich our lives. I’m glad to have them in our lives and happy that the girls love them as much as I do! 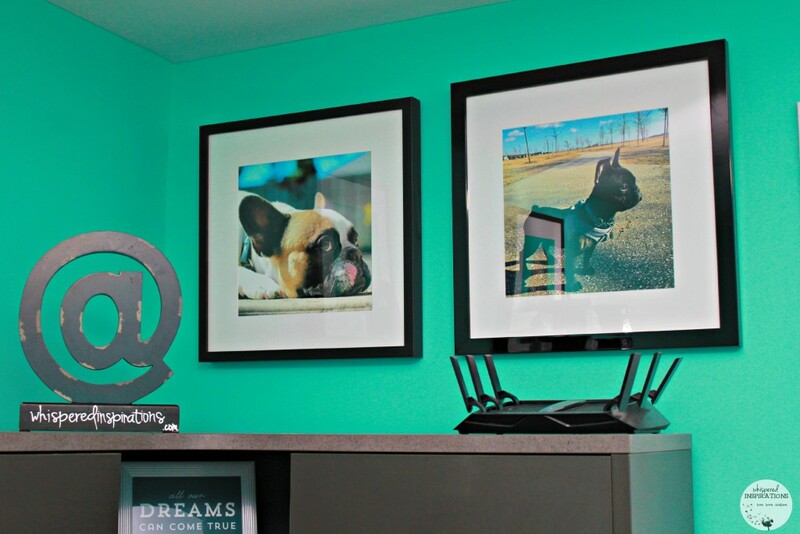 I chose a gallery frame from Posterjack to add to my “gallery” wall of my kids and now two fur kids. Posterjack makes gorgeous gallery frames that are quality. I am in love with them and they work with my home’s decor. There are framing stores on every corner, in every city. Custom framing is great. It is also very expensive. Sometimes you just want a frame that looks simple and modern. One that won’t look outdated in 10 years. For those times, you need Posterjack. Yes, this is 2015. Yes, you are shopping on the Internet. Despite that, they took a page out of Henry’s book circa 1927. Gallery Frames come in four timeless colours; Rich Black, Alpine White, Espresso Brown, and Light Walnut. All of our components are made in Canada – from the hardwood frame, to the low glare framers acrylic, right down to the crystal white acid free mat board. At Posterjack, they are always making things easy for their customers. So when you order a framed photo from them, it arrives ready to hang. Just take it out of the box, admire it for a few seconds, then hang it on the wall. Make sure you head over to Posterjack.ca to check out all of the framing options they have. 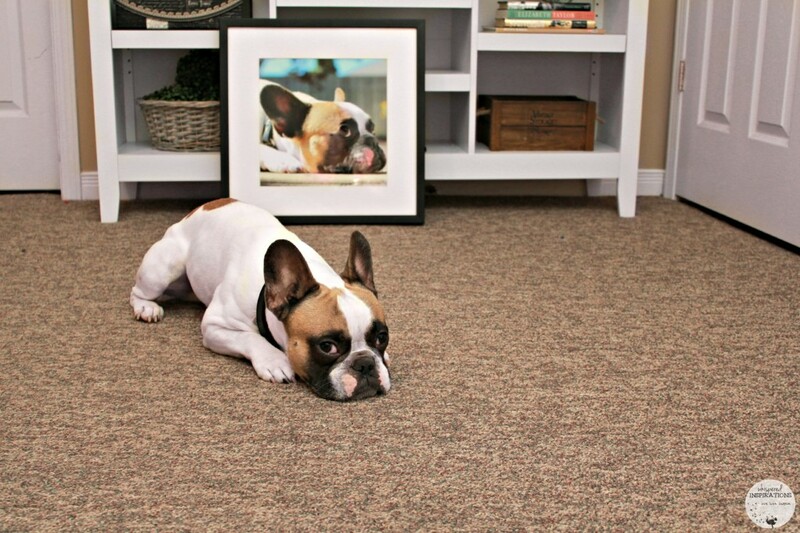 They are perfect to memorialize all the important events, people and even pets that you treasure in life. Do you have any fur babies and do you take their picture? Maverick is such a cutie! That is a really good picture of him! Thanks so much Judy. It captured his most used look. Sad face. He,s been there over a year now,i guess the two are best friends now! !